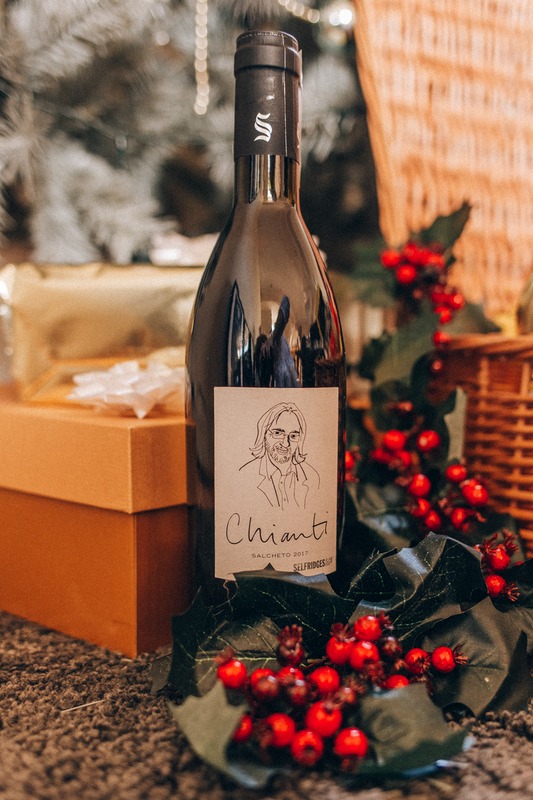 Christmas gifts everyone will love- Is the Selfridges hamper the ideal solution? This post was sponsored by Selfridges. All words, thoughts and photos are my own. Wow, where has this year gone? It’s now December! How did that happen? It only feels like last week that it was summer and we were all moaning about how hot it was, and yet now here we all are talking about how cold it is! October and November are the in between months when we are all getting used to the new season, yet now it's December and that’s where the fun real fun starts. 1st of December and my tree goes up, I start to buy presents and of course, start to stock up on all the food I’ll need. Every year I go home to my parents for Christmas, where everyone gets together, my auntie, uncle, cousins, various partners and Nana. It’s such a wonderful time. We eat and drink throughout the day and then usually collapse into an arm chair of choice. Of course before then, there's always people popping round in December. Catching up with friends, before they head out of London for the festive season. Neighbours popping round to say hi and many many others. So it’s fair to say I have a lot of presents to buy. Presents for people are so hard to buy for sometimes. Apparently each year the UK has 60 million unwanted Christmas presents! Which is an insane amount! I’d love to be able to give every single one of my friends and family a super personalised present but let's face it. It’s really hard getting it right every time. Plus think of all that time needed. Which is why a Christmas hamper is my God send. I don't know about your friends and family, but mine love food and drink and so anything edible will go down a treat. 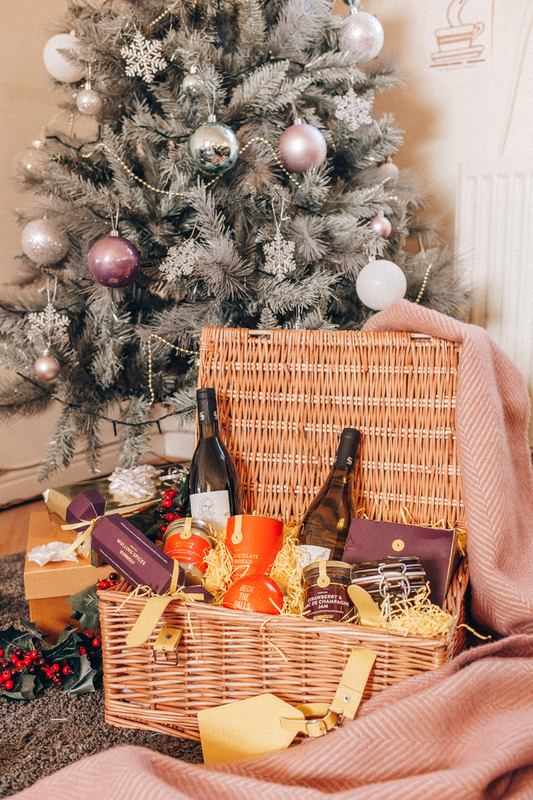 This year I tried theSelfridges Selection Luxury Christmas Hamper which is made up of 10 classic Christmas delights that everyone will love, plus the hamper itself is a gorgeous, strong and reusable basket- prefect for those summer picnics next year. 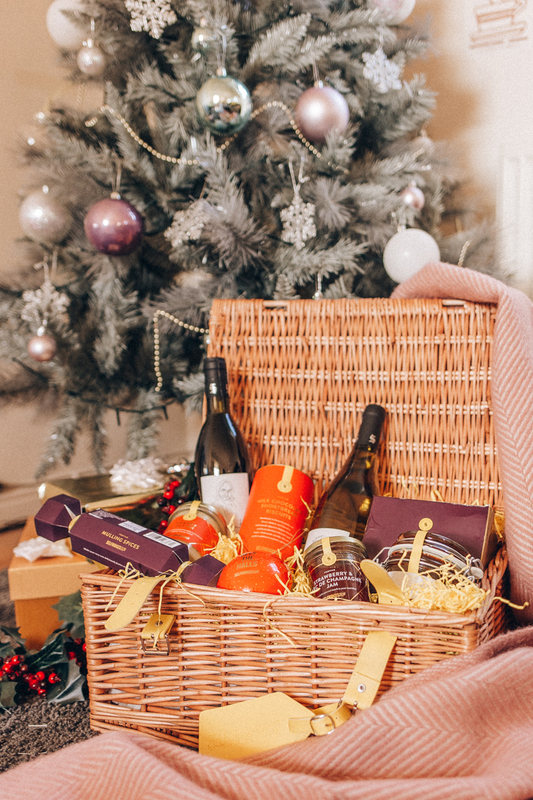 Christmas hampers are a very popular present idea, but with Selfridges, it’s certainly all about luxury hampers. 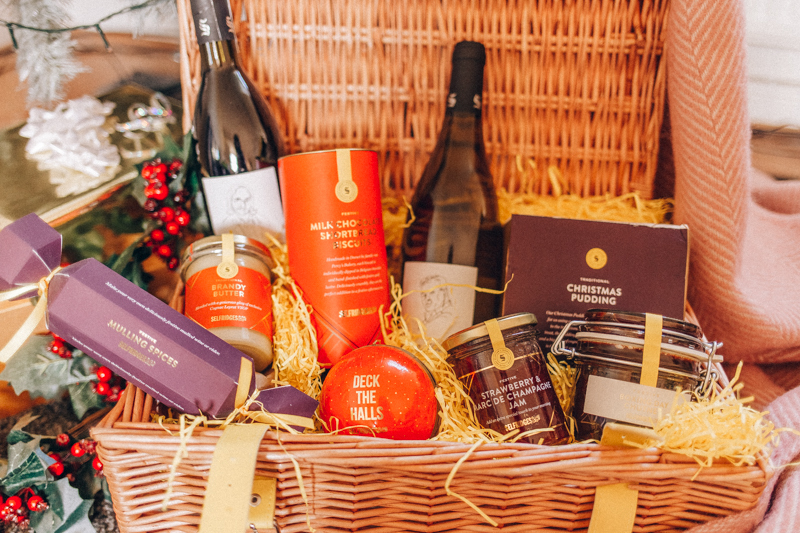 There are of course different hampers for different genres, but I always think the food hampers are the best as you can’t really go wrong with a selection of different foods. Inside is a Selfridges Selection Christmas Pudding, some really delicious Selfridges Selection Milk Chocolate Shortbread Stars complete with gold glitter on top. 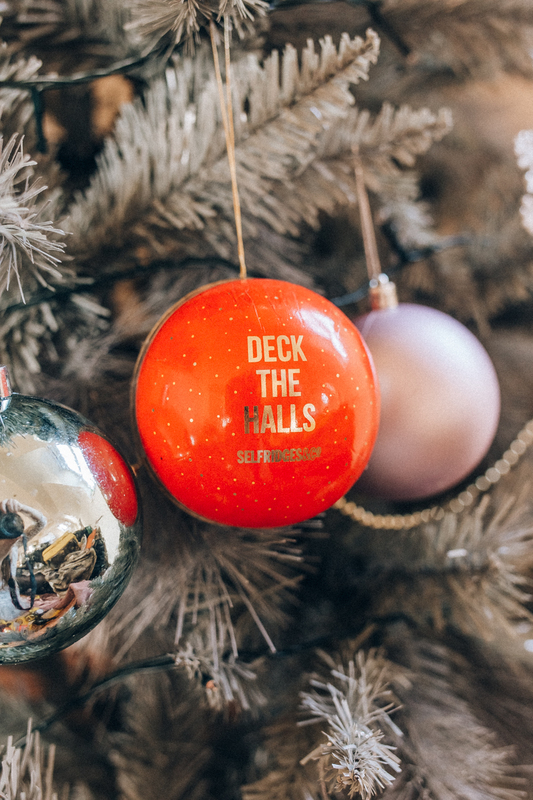 A really cute Selfridges Selection Bauble with Salted Caramel Truffles, which you can hang on the tree, although how long they'll last I don't know! Some Selfridges Selection Brandy Butter and Selfridges Selection Mulling Spice Kit for the drinks connoisseur and if you want something there and then there two bottles of wine! Selfridges Selection Chianti and Selfridges Selection Sancerre. 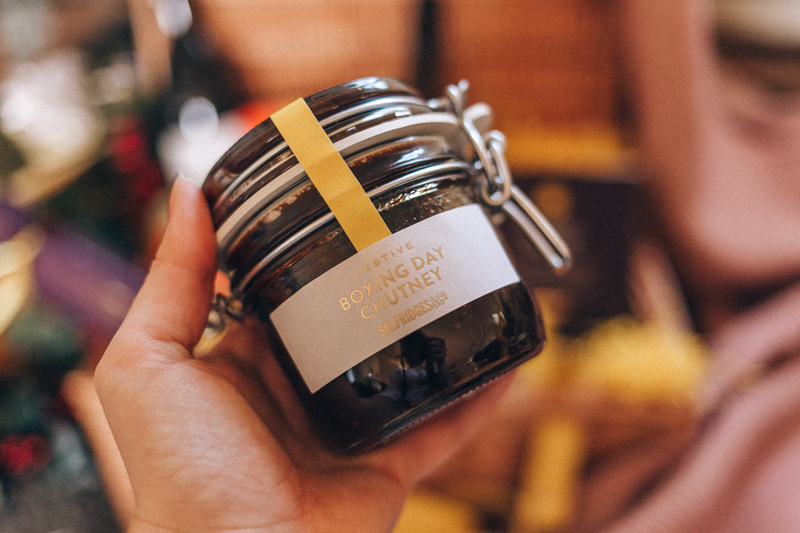 Also there's some delicious Selfridges Selection Strawberry and Champagne Jam and Selfridges Selection Boxing Day Chutney which is perfect with bubble and squeak! 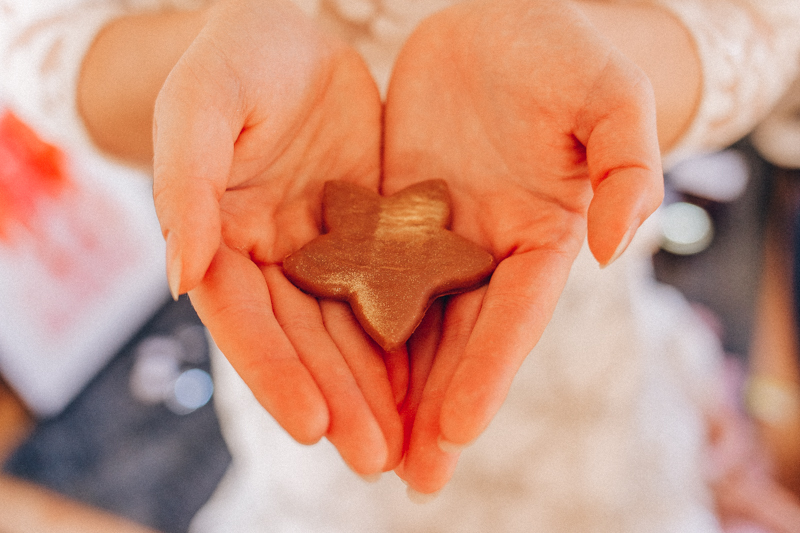 It’s such a great gift for almost anyone, or maybe a treat for yourself? I wonder how many hampers I can buy for friends and family without them all realising? I think I need one of these hampers in my life!